I heard a lot about a tomato sauce recipe that used quite a bit of butter, and I'd been meaning to look it up and try it. For some reason, I never got around to it. It's not like it would have been hard to find - the recipe has been posted online in several places. The original recipe came from Marcella Hazan, but I found it in a cookbook by Guiliano Hazan - Marcella's son. With the cookbook in my hands, I had no excuse. I had to make it. This is an incredibly easy sauce, with just a little stirring now and then to make sure nothing sticks or burns. If you're near the kitchen anyway, it's no big deal to give it a stir a few times during the cooking. This makes enough sauce for 1 pound of pasta. I used to for spaghetti. If using fresh tomatoes, peel them. 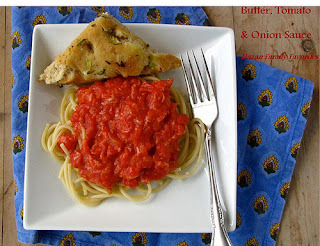 Coarsely chop the fresh or canned tomatoes. Trim both ends of the onion; peel it and cut in half lengthwise. Put the tomatoes, onion, butter and salt in a 4 to 5 quart saucepan over medium heat. When the tomatoes begin to bubble, lower the heat to a slow but steady simmer. Cook, stirring every 10 to 15 minutes, until the tomatoes are no longer watery and the sauce has reduced, about 45 minutes, depending on the size and shape of the pot. The sauce is done when the butter has separated from the tomatoes and there is no remaining liquid. I'm not a big breakfast-eater, and part if the problem is that I'm not a big fan of things like cold cereal. I like eggs, but I'm more likely to eat them for lunch or dinner. Bread, on the other hand is simple enough for me to deal with in the morning, and obviously I like bread. Sometimes I'll slice whatever I have on hand and make some toast. But sometimes I prefer a bread that's different. This orange-flavored bread is one example. It's a little bit sweet, but that's offset by the orange. While this bread has a little more sugar than normal, and a little more butter than normal, it's got enough flavor that you don't need to add any butter to it when you eat it. You can slather it with butter if you want to, of course. But it doesn't need it. And unlike some sweet breads that stale quickly, this one was just as soft the next day. In the bowl of your stand mixer, combine the water, yeast, semolina flour, and honey. Stir to combine and let it sit for 10 minutes - it should be a bit foamy. Add the bread flour, orange juice, egg, and salt. Knead with the dough hook until the dough is smooth and elastic. Add the vanilla extract, orange extract, and butter. Continue kneading until the dough is shiny and elastic and the butter is completely incorporated. Cover the bowl with plastic wrap and set aside until the dough has doubled in size, about an hour. Flour your work surface, and turn out the dough. Knead the dough briefly, then cut it into at least 16 pieces. You can cut it into more, if you like. The pieces don't have to be completely even - I like the idea that some pieces are larger and some are smaller. Roll each piece into a ball. For these buns, I used a baking dish that was 8 inches in diameter and 4 inches high. Anything of a similar volume would work. If you want a little extra insurance that your buns will release from your pan, you can spray it with a little baking spray. Pour the sugar onto a small plate, roll each ball in the sugar to coat it, and arrange the pieces loosely in your baking pan. If you need more sugar to coat all the pieces. If you have extra sugar, sprinkle it over the top of the buns in the pan. Cover the pan with plastic wrap and set aside until the dough has doubled in size, about 30 minutes. Preheat the oven to 350 degrees with a rack in the center of the oven. When the buns have risen, remove the plastic wrap and bake at 350 degrees until they are nicely browned, about 35 minutes. Remove the pan from the oven, let it cool on a rack for 5 minutes, the turn the loaf out and let it cool on a rack. Cover the bread with a clean kitchen towel of you want a soft crust. 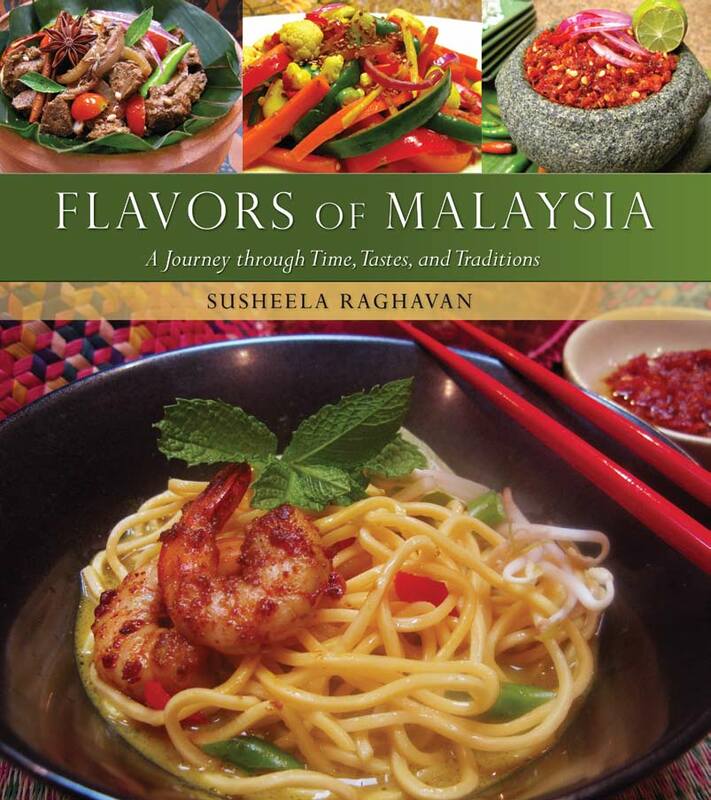 I know absolutely nothing about Malaysian food, so browsing through Flavors of Malaysia by Susheela Raghavan was a good introduction. This is from the same publisher as the Sri Lankan book I reviewed a while back (and that toffee recipe was a real winner!) so the format is very similar, with history and personal stories along with the recipes. I have no idea why, but the pickled cucumber and carrot recipe caught my eye. Maybe it's just that I love pickles so much. I liked the idea of crunchier pickled carrots along with the slightly less crunchy cucumbers, and the optional ginger sounded good. The instructions for the size of the vegetable pieces seemed a bit confusing. It says the pieces should be about 2 inches long by 1/4 inch wide, but the photo in the book showed that the pieces were more of a julienne cut - so I cut mine about 1/4 inch square. Rub cucumber, carrots, onions and chiles with salt and let sit in a colander weighted down by a plastic bag of water for about 15 to 20 minutes, till all liquid is drained. Make the dressing by combining vinegar, sugar, and ginger, if using, in a non-reactive bowl. Add the vegetable mixture and coat well with the dressing. Optional garnish: In a small skillet, heat oil, add mustard seeds, cover, and let seed pop. When popping subsides, uncover, add the turmeric and chile powder and stir for a few seconds. Remove from heat and pour this savory oil mixture over the pickled salad. Or top the salad with the peanuts and chiles. Back in the stone age, beer-drinking was something for the guys. The gals sipped fruity cocktails or wine. Now, beer is an equal-opportunity beverage, and the soon-to-open brewery in Niwot, Bootstrap Brewing, is a husband-wife partnership. Steve and Leslie Kaczeus will be hands-on owners, which is exactly what they want to be. "She wants to bring in the woman's perspective," Steve said of his wife. "It's kind of a nice balance." Steve started home brewing in 1993, and soon the couple starting introducing craft beers to their friends. They look like they're having fun, right? Yep, that's the kind of friends you want - the ones that invite you over for beer sampling. The couple said that some people who were initially wary of hoppy or dark beers often changed their minds. "We gave them a safe place to try a sip," Steve said. Makes sense. If order a glass of beer in a restaurant or bar, you feel kind of obligated to drink it, so it's difficult to try something new. What if you don't like it? But when a friend offers a taste, it's a lot easier to take a sip and then maybe try something different. But after a few sips, a lot of those folks got used to the stronger flavors and decided they actually liked more than just light beers. While Steve was the one who graduated from the American Brewer’s Guild to learn how to brew beer, Leslie is working on becoming a member of the Pink Boot Society - a group for women who are involved in the beer world. Those women might be brewers or beer writers, but they key is that they have to make some income in the industry. It won't be long before Leslie can join. Meanwhile, the couple is hoping the new brewery will be a destination location that will draw customers from all over the local area - as well as tourists who love beer. They're also hoping it will also become a spot where the local hang out and relax. And Leslie is determined that the gals will be just as welcome as the guys. Leslie was happy to introduce her friends to more interesting brews, and she hopes to do the same for the customers who stop by, with educational events like beer-pairings featuring food from local restaurants. The brewery won't be serving its own food, but Steve and Leslie were talking about having food trucks stop by and maybe some catered food, as well. What was most obvious when I interviewed these two was how much fun they were having and how excited they were to open the brewery, be part of the community, and have a business that both of them can participate in. And they've got lots of ideas. Niwot has long mourned the loss of Rev Taylor's restaurant that drew people to the town - could this be the new destination location? 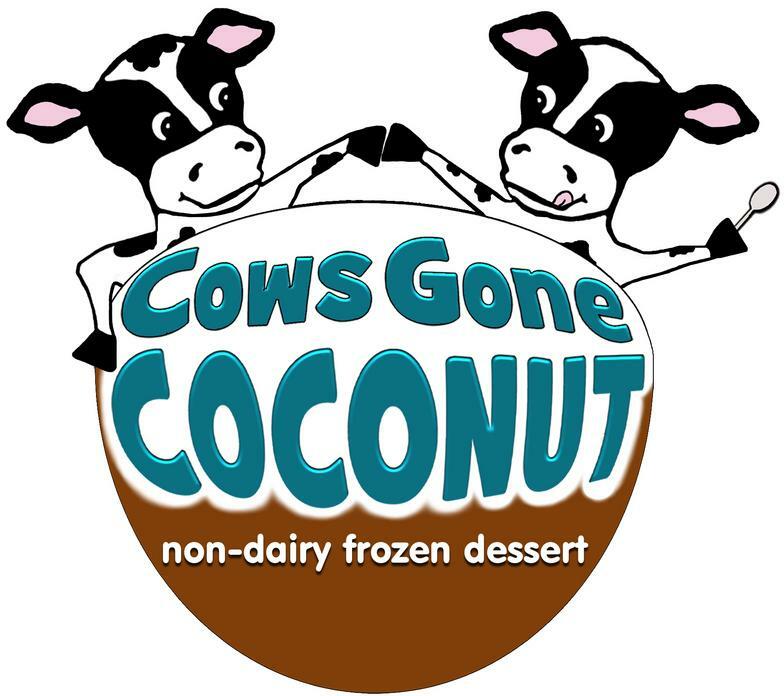 Given the enthusiasm these two have for their business and for the town, it's a possibility. 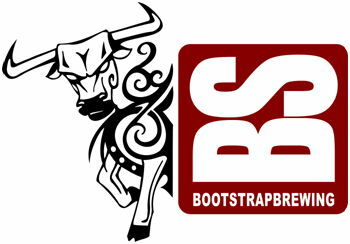 Bootstrap Brewing is on schedule to open on June 20 at 6778 North 79th Street in Niwot, just south of Cottonwood Park Shopping Center. Customers will be able to purchase tasting flights, pints and 64-ounce growlers to take home. Initial hours for the tasting room will be Monday-Thursday 3-8 p.m. and Friday-Sunday noon to 8 p.m., but that may change. You can follow the progress of the construction on Facebook. Here's more on Bootstrap Brewing on Boulder County Eats. And in the Boulder Daily Camera. I never buy salad dressing - I always make my own. Sometimes it's as simple as vinegar, oil, and a pinch of salt. Sometimes it gets a little more complicated. There are themes that repeat - lemon juice with a Greek seasoning blend or red wine vinegar with oregano, but most of the time I make just enough for the day, so even when the dressings are similar, they're never exactly the same. Besides the usual suspects, I sometimes add other ingredients. Maybe a little cheese, or something sweet. It depends on what I have on hand and what I'm in the mood for. This time, the added ingredient was raspberry jam. But not a regular raspberry jam - this is an uncooked jam from a company called The Jam, so it tastes a lot fresher. Raspberry vinaigrette dressings are popular, and sometimes I'll order them at restaurants. 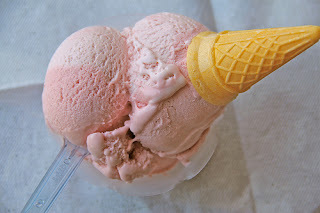 But I've never gotten it exactly right at home, mostly because I couldn't find a raspberry flavor that was what I was looking for. This jam had the right flavor profile, with just enough sweetness and fresh raspberry flavor. It was just right. It's also good on toast, but I have a feeling most of mine will end up on salad. Combine all the ingredients in a jar with a tight-fitting lid and shake until well-combined and the dressing is emulsified. If desired, add tiny splashes of jam to add a pop of bright color to the salad. For more information about my relationship with Fooducopia, see the tab at the top. Way back in the stone age of my childhood, the neighborhood bakery made a very, very light rye bread. I have no idea if it was an ethnic thing (back then, I didn't even know what that meant) or whether it was just something those bakery owners invented. Most of the time when I make rye bread, I make a medium rye - because it's easy. Sometimes I make a darker rye. This time I went the other direction, and made a very light rye. Hint of rye might be more appropriate, actually, because it really is more like a robust-flavored white bread than a rye. I baked this loaf in a clay baker - like the material flowerpots are made from. The idea is that you soak the clay baker in water and when you bake the bread in the closed container, that wet clay releases moisture so the bread bakes in very steamy environment. If you don't have a clay baker, you can bake this loaf in a cast iron dutch oven. It won't release steam, but it will retain the moisture from the bread as it bakes. One thing to remember when using a clay baker is that you can't put it in a hot oven. It will break. Instead, you put the baker into a cold oven and then turn on the heat. It goes into the oven before the dough is fully risen since it takes some time for the oven to heat and for the interior of that container to heat up. When you take the baker out of the oven, you still have that risk of thermal shock, so don't put it on a chilly surface. A wooden cutting board, a baking rack, or a dry kitchen towel are safer than a cool counter top. In the bowl of your stand mixer, combine the water, yeast, sugar, buttermilk, and flours. Knead with the dough hook until the dough begins to get elastic. Add the salt and olive oil and continue kneading until the dough is smooth, shiny, and elastic. Cover the bowl with plastic wrap and set aside until doubled in size, about 1 hour. Meanwhile, soak the clay baker and its cover in water. When the dough has risen, flour your work surface and turn the dough out. Knead it briefly, then form it into a log if you're using an oblong baker, or into a round if you're using a round baker or a cast iron dutch oven. Remove the baker from the water and drain any extra water out of it. Sprinkle cornmeal in the bottom of the baker and a little bit up the sides. Put the dough into the baker, seam side down, and put the cover on. Set aside to rise until slightly less than doubled - about 20 minutes. Open the baker and slash the dough as desired, then put the cover back on. Place your rack in the center of the oven, put the baker on the rack, and turn the heat to 400 degrees. Bake for 60 minutes. Remove the cover (carefully - it's hot and there could still be some steam.) If the bread isn't as browned as you like, let it bake another 5 minutes. Remove the baker from the oven and remove the bread and let it cool on a rack on a rack before slicing. When spring arrives, I get giddy about the idea of going to the farmer's market and buying fresh vegetables. But after a while, reality sinks in. While there are plenty of leafy green things at the farmer's market, the vegetables I'm most excited about won't be making an appearance for quite some time. The good news, though, is that when I go to the grocery store, the home country of the vegetables had moved north. Instead of seeing vegetables from Central America, many more are from California. And most of them look fresher and much more appealing. Spring is also a time when the weather is conducive to both warm-weather foods and cool-weather foods. 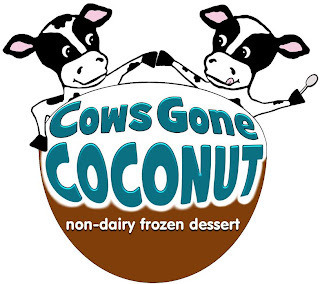 It's not too chilly to enjoy ice cream or a refreshing salad, and it's not too hot for soup. When I found this recipe for cauliflower soup, I knew it would be perfect for spring, when the weather is shifting from warm to cool to back again. While this soup would normally be served hot, it’s an ideal soup to serve chilled like vichyssoise. Fill a pot large enough to accommodate the cauliflower with water and place over high heat. Remove the leaves from the cauliflower and trim the root. When the water is boiling, add the cauliflower and cook until tender, about 10 minutes. While the cauliflower is cooking, peel the potatoes and cut them into 1/4-inch slices. When the cauliflower is tender, remove it from the pot an cut the florets away from the root. Discard the water the cauliflower cooked in and put the potatoes, cauliflower florets, and milk in the same pot. Season generously with salt and pepper, cover the pot, and place over medium-high heat. When the milk begins to bubble, reduce the heat to low and cook until the potatoes are tender, about 20 minutes. Keep an eye on the pot during the first few minutes to make sure the milk doesn't boil over; reduce the heat to the lowest setting if necessary. While the soup is cooking, chop enough parsley leaves to measure about 1 tablespoon. When the potatoes are done, remove from the heat and pass the soup through a food mill. Add the parsley. Cut the butter into small pieces so it melts more easily, and add to the soup. Stir well and serve at once. I received this book from the publisher for review purposes. 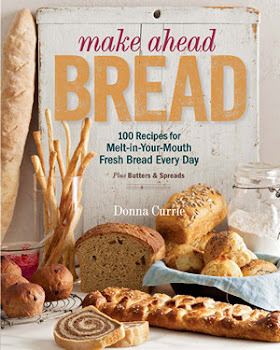 Several other Virtual Potluck members are also cooking from this book - check here for the roundup! 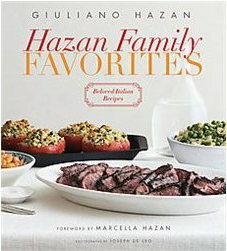 Today, Virtual Potluck is talking about the cookbook Hazan Family Favorites by Giuliano Hazan. If that last name is familiar, it's because Marcella Hazan is Giuliano's mother. Cooking runs in the family, that for sure. · Join @educatedpalate (Lael Hazan) and author Giuliano Hazan (@giulianohazan) for a 1 hour twitter chat on Monday May 21 at 7 p.m. (eastern). Look for the hashtag #HazanFavorites. We'll be giving away a copy of the book during the chat. Nelly (@nella22) from Cooking with Books will be leading the Twitter party. And that's not all. Some of the VPers cooked recipes from the book, and will have the recipes (and variations) for you. You can read all about the book (and get some recipes) from these great bloggers. Shelby at Diabetic Foodie made stuffed zucchini. Theresa at Foodhunter's Guide also made stuffed zucchini. And me - I made an amazing cauliflower soup. I love artichokes in all forms - I love giant stuffed artichokes and I love marinated artichoke hearts and I love artichokes when they're added to entrees. Or pasta. 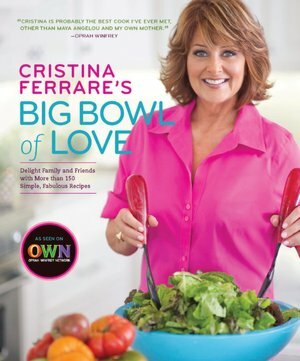 So when I found a recipe for marinated artichokes in Cristina Ferrare's cookbook Big Bowl of Love, I figured I'd try it. She suggests starting with frozen artichokes rather than doing all the work required to clean a whole bunch of fresh artichokes to get to the hearts. And I completely agree. Except, after scouring the frozen food aisles, I couldn't find any artichokes. I know I bought them before, but I don't recall where. All I know is that where I was shopping there were a billion varieties of frozen potato products, but not a single frozen artichoke heart. On the other hand, I had some canned artichokes right there in my pantry. Not canned marinated, but just cooked and canned. Perfect! Well, not completely perfect, but it was a good brand and it worked perfectly in this recipe. But I've got to say, if you ever see the frozen artichoke hearts, buy them. 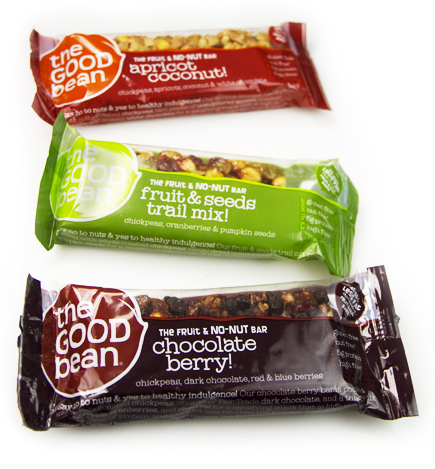 they're really, really good. 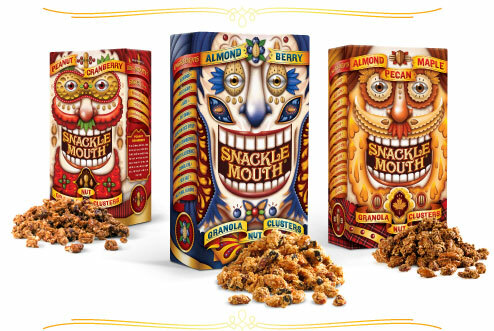 Next time I see them I'm going to stock up, that's for sure. Unlike the jarred marinated hearts, these aren't swimming in oil, and they taste fresher, thanks to the green flavor of the parsley. The only problem I had with this recipe was that they smelled so darned good while I was cooking them that they almost didn't last long enough to get photographed. I know you're supposed to let them cool and serve them at room temperature, but they were amazing while they were hot from the pan. 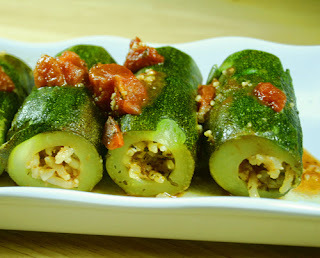 I'd be perfectly happy to have these as a side dish. Or, like may things I make, serve them hot the first day and cold on the second day. Maybe warm with pasta for a main dish, and then chilled for a cold pasta salad on Day 2. Or warm as a side dish on the first day, and chilled for an appetizer - maybe with some parmesan cheese shaved over the top - on the second day. Or - OH! Grate some parm over the top and let them broil just a little bit. There's also a recipe for an artichoke dip in the book that uses these artichokes. Yeah, next time I'm making a double - or triple - batch. I'll admit it, I'm kind of in love with this recipe. Cook the frozen artichoke hearts according to package directions. Drain in a colander for 10 minutes. Pat dry with a paper towel. Heat a frying pan until hot. Add 4 tablespoons olive oil, and swirl it around in the pan. Add the garlic and saute, shaking the pan back and forth so the garlic doesn't burn. The minute the garlic starts to turn golden, quickly add the artichoke hearts. Lower the heat and continue to shake the artichokes back and forth. Add 1 teaspoon of salt and the red pepper. Using a metal spoon, stir and saute for 8 to 10 minutes, until the artichokes start to caramelize. Pour the artichokes into a serving bowl, add the lemon juice, and stir. Drizzle 1 tablespoon of extra-virgin olive oil over the top. Add a pinch of kosher salt, sprinkle on the parsley, and allow to cool to room temperature. Whoo hoo! This post is featured on Punk Domestics! I picked up a bag of bay scallops - one pound - and then couldn't decide exactly what I wanted to do with them. I mean, there are so many options. Everywhere I looked, there were recipes for grilling scallops, but I think the bigger sea scallops are much better suited for that sort of treatment. The little bay scallops don't offer as much surface area, nor are they the best choice when you want impressive presentation. And threading a bunch of little scallops on a skewer didn't seem like a good use of my time. There are plenty of other ways to cook them. But even though bay scallops aren't that impressive to look at, they still taste good. I started with a cold preparation: ceviche. Some people would say that ceviche is raw, since there's no heat applied, but others would tell you that the seafood is "cooked" by the acid. It looks cooked, and the texture changes. I guess it's actually pickled rather than truly cooked. But it's not like a raw scallop any more. If you're one of the folks who thinks cilantro tastes like soap, you can omit it, or use parsley instead. The parsley won't give you the same flavor, but it will add a nice punch of green color and flavor. As for the pepper, it depends on how much heat you like. Jalapenos are milder (but larger) than serranos. To tame the heat of either one, remove the seeds and the ribs. If you want more heat, leave those seeds and ribs in place. Quarter the scallops - or, if they're larger, cut them again - you want pieces about the size of a small pea. Combine all the ingredients in a small non-reactive container and refrigerate at least 20 minutes, until the scallops have turned white and feel a little firmer. This can also be made a day in advance. Poaching is all about cooking something slowly in a liquid. In many cases, that liquid is a stock or perhaps water fortified with wine and herbs. In this case we're poaching in butter. Yes, butter. The key here is to keep the temperature very low - you don't want the butter to burn. The thyme infuses the butter with its flavor, and that flavors the scallops as well. And nothing goes to waste. The butter dresses the pasta. In the narrowest pot you have, melt the butter - ideally the scallops should be submerged in the butter as they cook. I used a 2-cup metal measuring cup that's stovetop-safe. They didn't all stay completely submerged, so I had to move them around as they cooked. Add the thyme to the melted butter, then add the scallops. Turn the heat down as low as it will go - you want the butter to just barely bubble once in a while - not quite a simmer. Cook the scallops, stirring as needed so they cook evenly, until they are evenly white. Meanwhile, cook the orzo in boiling salted water until cooked to your taste. Add the scallops and all the butter to the pasta, then add the tomato and zucchini. Taste for seasoning and add salt and pepper, as needed. Serve warm. Did you know that the leaves on cauliflower - those leaves you usually trim off and throw away - are edible? Sure, you might not buy cauliflower just for those leaves, but this is a great way to use them up. Cooked, they look - and taste - a bit like bok choy. Of course, if you don't happen to have cauliflower leaves on hand, you could use bok choy or celery instead. The radishes, cooked just a little bit, add a bright pop of pink and bright white. The cooking mutes their sharpness a bit, so even folks who don't like raw radishes might like these. Heat one tablespoon of the olive oil on medium high heat. Add the cauliflower leaves and cook for a minute or two until they begin to soften. Add the yellow squash and cook, stirring as needed, until the squash wilts a bit - it's fine if some of them brown a bit. Add the radishes and cook very briefly, just until they wilt. Add the salt, pepper, and lemon juice, stir to combine, and transfer to a serving plate. Add the second tablespoon of olive oil to the pan and cook the scallops until they are white and cooked just though. If you can get them to brown a bit in spots, that's great, but don't overcook them or they'll get rubbery. Serve the scallops on top of the vegetables. Drizzle with a little more olive oil and another squeeze of lemon, if desired.